We are here to look at the human condition through psychological, physiological, biological, theological, astrological, and even meteorological means all in an effort to make you smile, give you hope, or if nothing else, raise your blood pressure a little. 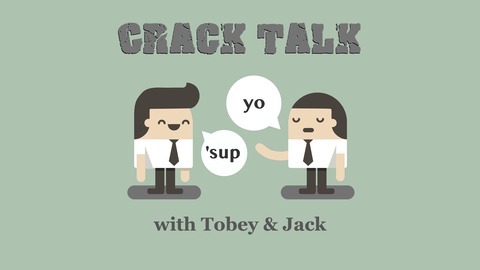 :) Visit our website for more information or to get in touch with us (https://cracktalk.us). 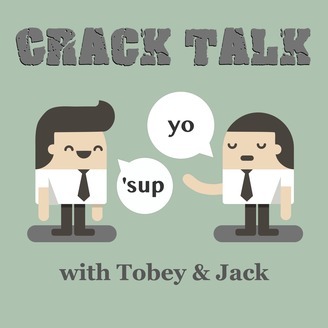 Subscribe to our podcast on Spotify, iTunes, Google Play, Stitcher, Pocket Casts, iHeartRadio, Player.fm, tunefm.com, follow us Facebook (https://fb.me/cracktalk.us) or Twitter (https://twitter.com/cracktalkus) to get your social fix. The key to managing all of our expectations (of the president, of our spouse, of our boss, etc.) is understanding the reality and accuracy OF our expectations. We cannot expect to have a Hallmark marriage or a textbook boss if it is impossible for those people to actually function in those contexts. Meaning, if our expectation of a spouse cannot be realistically achieved, guess what? We're going to bounce from relationship to relationship. The same is true of employers. If we have an unrealistic expectation, we are going to bounce from job to job. Don't be a Hobbes in wishing for something unattainable. Be Calvin and go for what you can get.